Gillian is a long-time, faithful contributor to our challenges and produces the most inspiring work! 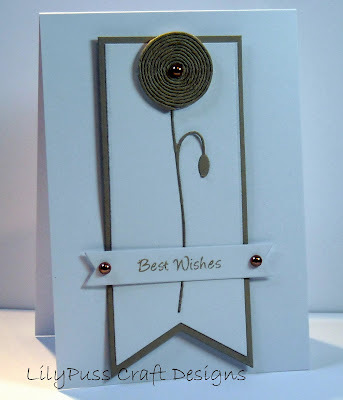 This one uses two of my favourite things...squished flowers and Glamour Dust! The butterfly is from Memory Box (I think) and the flowers are from a little punch! I find that a Zig pen is excellent for adding Glamour Dust, but I believe that here I used some double sided adhesive sheet on the front of the butterfly, adhered the filigree part and then glittered the spaces in between! 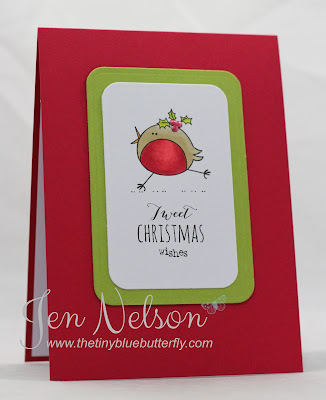 This was inspired by Jan (LTC) who used this free cut file from Bird last week. 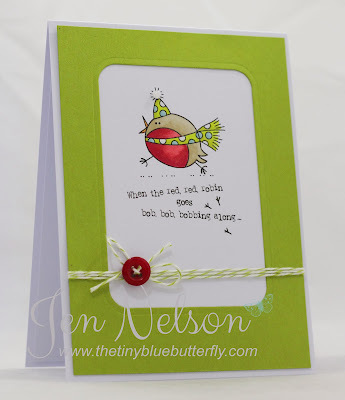 The little birds are from a Memory Box die and the sentiment from Stampin' Up. 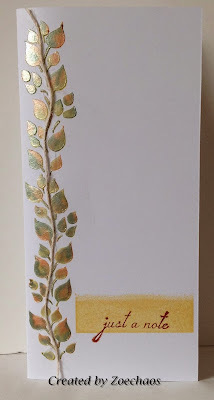 For my second card I decided to use white embossing powder onto pool party card stock. The sentiment is also from the same set and I was so surprised at the detail the small text picked up it was a delight... I hate it when the embossing is not crisp. I used another one of the snowflake designs and then finished it off with smooth gems from hero arts. Christmas is coming... get out all that twinkle...we'd love to see you SPARKLE! We had a wonderfully varied selection of cards to choose from fir this week. Here are our choices, we're sure there's something to inspire everyone. Great mix of papers from our sponsor this month! but sadly we couldn't copy her picture here! At least you know that we loved your card Sarah! There's such a warm feel to this beautiful card! If you haven't already visited these awesome blogs, do pay a visit, you won't be disappointed! We had so many amazing entries, so that choosing a showcase was an almost impossible task as we could have chosen SO many. Thanks to everyone who submitted cards this week! You are all awesome! Please take the Showcase badge to pop on your blogs! See you tomorrow for our new challenge! If you are looking for this weeks challenge you can find it HERE! 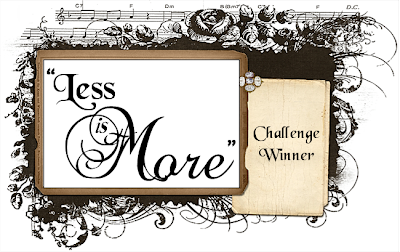 Sarah has been blogging about 6 months and takes part with fabulous creations week on week and we hope you give her a huge congratulations. If you email us with your choice of stamp and your address we will get your prize posted out to you! Don't forget to keep it CAS and it would be great if you could visit a few fellow participants to our challenge to leave a friendly word. As I have turned into a frugal crafter, I decided to use the negative from the aperture from my first card for the second. The image is also coloured in with markers and then simply mounted onto the off cut. A little bit of liquid pearls finishes off the berries. For this card I used a scrap of designer paper, I'm not sure of the origin as it's been sculling around in the drawer for quite some time, but I think it may be Pink Petticoat, I'm sure someone will put me right. The little bird stamp is from Hero Arts, coloured with Copics. The tiny holly die cut is from an Impression Obsession, wreath set. I failed to scrawl the make of the sentiment on the carrier sheet of the clear set from which this comes, but if I find out I'll add details of it. The stitching is merely faux stitching using a paper piercing tool and a Clear Star Gelly Roll pen. The other day a friend came round to make her husband a 50th birthday card using my bits and pieces. 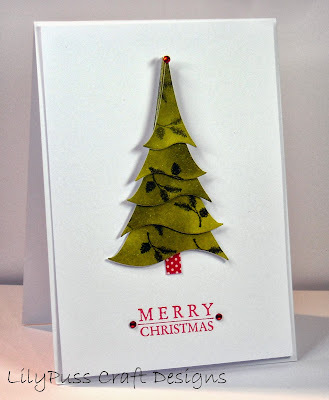 I cut out this Memory Box tree to show her what die cuts were and how they were cut. She decided on a different design so I thought I would use this one for a Christmas card. The little bird is cut from a Martha Stewart border punch. The sentiment is from the same set as the previous card. 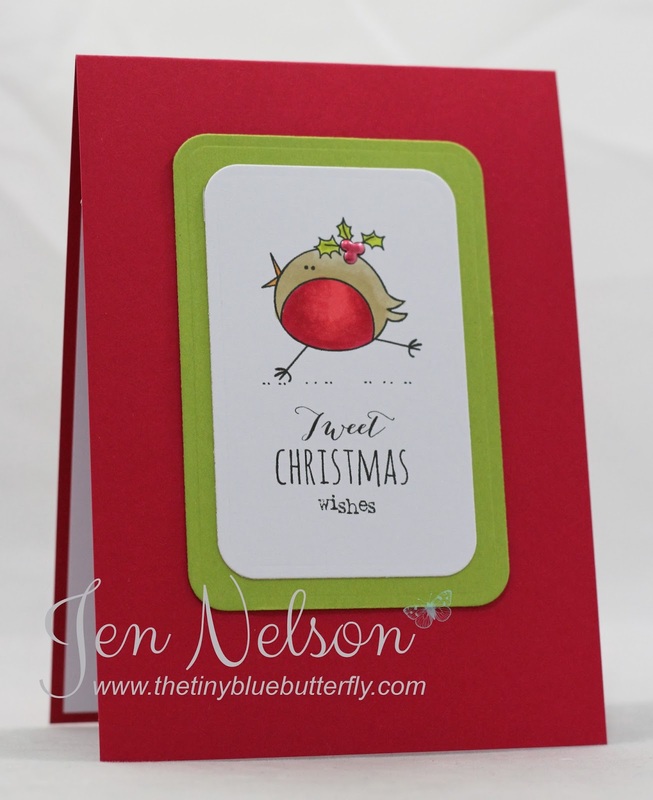 Lots of birds seem to creep into Christmas, there are a few more cards on my personal blog, and we can't wait to see what birds take flight from your blogs! Such a wonderful inking effect! If you haven't visited already, do please visit these blogs and feast your eyes! Do please take the ShowCASe badge for your blogs ! See you tomorrow for another fun challenge! 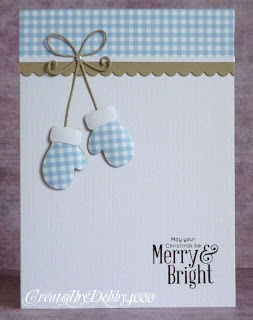 There's a tendency to forget about Designer Paper when creating Clean and Simple cards, but there is a variety of ways in which it can be used... without covering large areas of the card base. Here I simply chose to stamp onto some DP for both the image itself and the leaves, both stamps are by Jo Firth-Young. The baubles or berries have been glazed but I'm afraid it's not apparent from this picture. IRL they are lovely and shiny! The sentiment was cut on my Silhouette using CBGB Font. 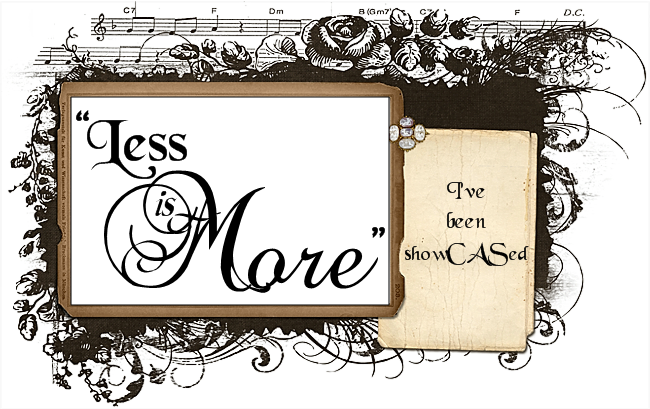 This one incorporates DP for paper piecing, as a background mat and also for the sentiment...again cut with my Silhouette using the font CK_Alis_Hand_Official. 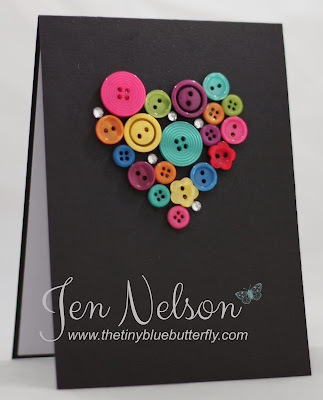 There's another example card on my blog. I'm delighted when you come to visit me there too, thank you everyone, especially those who kindly leave a comment! 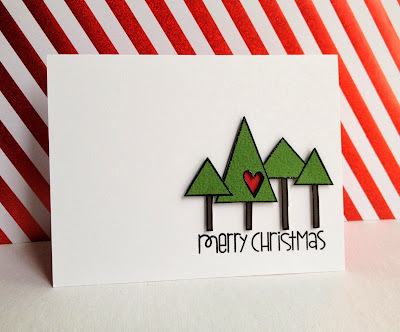 I'm in sunny Egypt this week so just one card to share with you... and it's using a fabulous Sneak Peek from a regular sponsor, Lili Of The Valley. These cute baby images are out later this month. I've simply coloured the little one in with stampin write markers and cut him out. 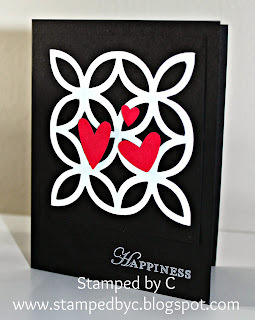 A strip of designer paper from Stampin Up has been stitched and lay over a whisper white background. The sentiment is also from LOTV. I'll be back in the UK later in the week so cannot wait to see how you interpret this challenge. We hope you'll have lots of fun with this one! What fab examples we have in our showcase for you this week. Wonderful firework colours on deep coloured backgrounds! Yum! 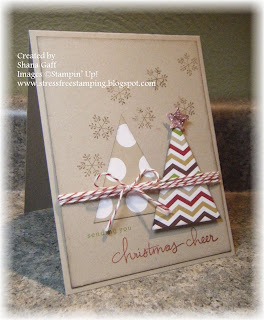 If you didn't visit Gina's blog to see how this was done... take a look, it's an amazing technique! Inlaid dies technique... love it! Please display the Showcase badge with our thanks! What inspiration we get from participants to our challenges. Please don't forget to visit a few other LIMettes, a friendly comment is always greatly appreciated! Just one card for me today as I'm off on holiday on Monday diving in Egypt and have not had much time to craft or do much else this week! 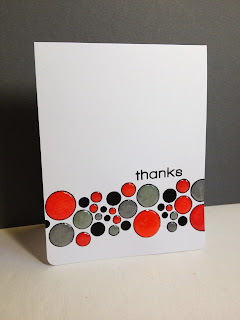 I've used the new "Geometric Style" set from Clearly Besotted... I just love this set so much!! I'm sorry if I haven't managed to visit you all in the last couple of weeks I'm hoping I catch up on life over the next few weeks and get back into a routine. Here I have used one of my favourite techniques...masking off a section of card, and then using an emboss resist technique. I love getting inky with my sponge daubers. This is an image from Unity stamps with a sentiment from Art Impressions. I used Distress inks in Scattered Straw, Wild Honey and Rusty hinge with just a touch of Vintage Photo. This one is an attempt at Zentangling! The first one I tried had better patterns, but then I smudged the sentiment with a rogue patch of ink on the stamp which I didn't notice! Again I masked off a section before beginning to stamp. The flowers were also masked. I have decided that maybe zentangling is not my finest technique! It seems that the one layer challenge no longer sends crafters into fits of the hab dabs and some wonderful cards appear. We can't wait to see what turns up this week! What fun submissions we saw for our 'string' challenge. LIMettes are such an inventive lot, we take our hats off to you! Here are our choices for this superb week! What a fabulous flower created with hemp string! An original use for twine, well matched by the leaves! If you haven't already visited these ladies do pop by and leave them a word, we know it will be appreciated! Please take our showcase badge ladies, which we hope you will display on your blogs! We'll see you tomorrow for our new challenge! It's a new month which means a new colour challenge and a new sponsor! 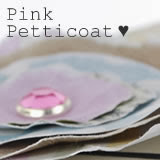 This month we are delighted to be sponsored once again by Pink Petticoat. 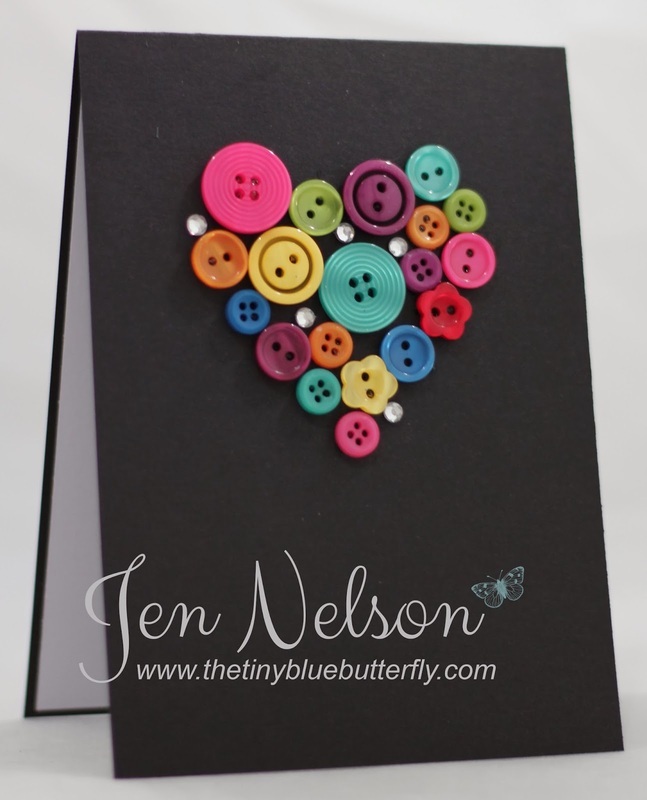 This is the card I made for my lovely friend Mandi (she who created "Less is More" with me) whose birthday is today! Happy Birthday Mandi! 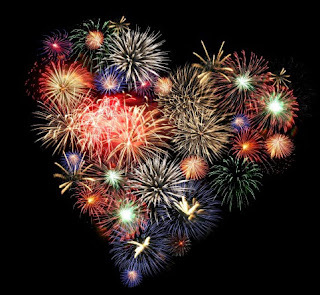 We hope you have a lovely one! I used a die from Impression Obsession, cutting it in several fireworky colours and mixing them up into the black die cut card. I got in quite a pickle sorting out which hearts would fit where! For the sentiment, I cut 1cm strips of the coloured card and stuck them to a piece of double sided tape and then die cut the birthday word from it. This one has only a touch of colour... red for the cardinal and the tiniest bit of yellow for his legs. The trees were cut with my Portrait machine. The sentiment is from Woodware. I will be at the Craft Show at the NEC on Friday, if anyone else is going that day, it would be great to say Hi! 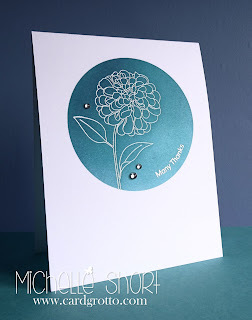 My second card uses embossing paste and a stencil and then bright blue glitter. I have simply added some pearls and a sentiment from pink petticoat. 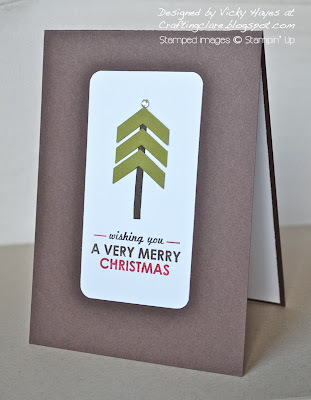 Wow you all really loved our Trees theme and you made it so difficult to chose but we have come up with a few fabulous cards to showcase. If you haven't already visited these ladies' blogs, do pop by and say Hi, we're sure you'll agree that all these creations are stunning! We hope you'll add it to your blogs with pride!